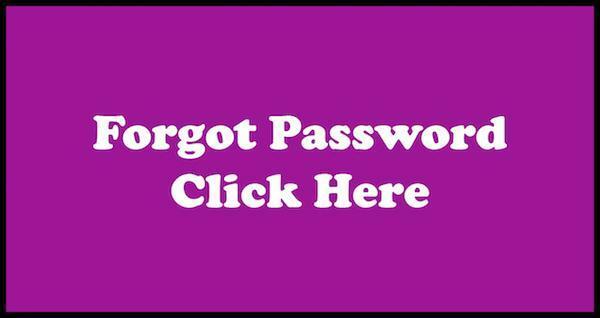 Parents or Guardians, if you forget your username and password, please use the to retrieve your information. Please complete the required fields in the form. Please allow time expedite the request. Requests are often expedited between the hours of 7:50am to 8:45am and 11:30am to 12:45pm on Monday, Wednesday, and Friday and 11:30am to 12:45pm on Tuesdays and Thursdays. 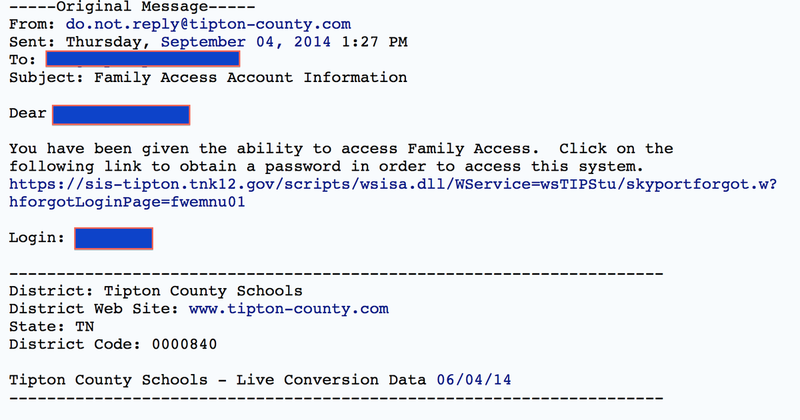 Please check all SPAM or JUNK MAIL FOLDERS for e-mails pertaining to Skyward Family Access. In the event that last year's username and password do not work, it is required that you complete a new application for our records to gain access to your child's grades. By completing the new application, you must keep your mailing address and physical address updated and on file with our front office. Thank you for your patience and this is to protect your child's information. What to Look For After Automated E-Mail has been Processed. Watch for e-mails similar to the one below that have directions on how to set up the account. See an enlarged snapshot by clicking below it to see the original version. 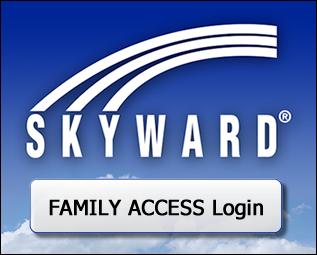 Inaccurate information will result in delaying the process of Skyward Family Access accounts. You must contact Mrs. Felicia Perry, Attendance Clerk, by phone or possibly in person on how to get your contact details changed. Please contact 901-840-9250 to speak with the attendance clerk as to how to get information changed. Please note that page 7 is now an editable application, where you can type in your information. Please look for the slight highlights in the form on page 7. 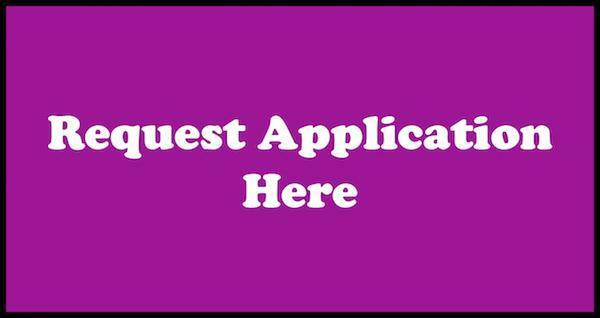 You may fill in your information and save a copy of the application to your computer with your typed information in page 7. When you do print the application, click File, Print. When the print dialogue box comes up, be sureto select Page(s) and type a 7 in the page box in order to not print the whole application. 2 Methods on how to submit the form back. Choose 1 method. if you prefer to handwrite the information. automatically submit right back to the processor. Further details will be sent to you on submitting a copy of your driver's license. Upload your landscape orientation photo copy of your Driver's License in this form. You will also get a confirmation the form has accepted your request. ADOBE SIGN is used to deliver the form to your e-mail. Once you've completed all required fields, and sign the document, the form will return a copy to you and to me automatically. 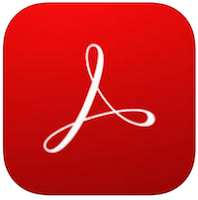 To see this form, you must install Adobe Acrobat Reader on your Apple or Droid devices. Once all required information has been received, the processing can begin and you will receive an e-mail from noreply@k12tn.net to continue setting up your Skyward Family account. 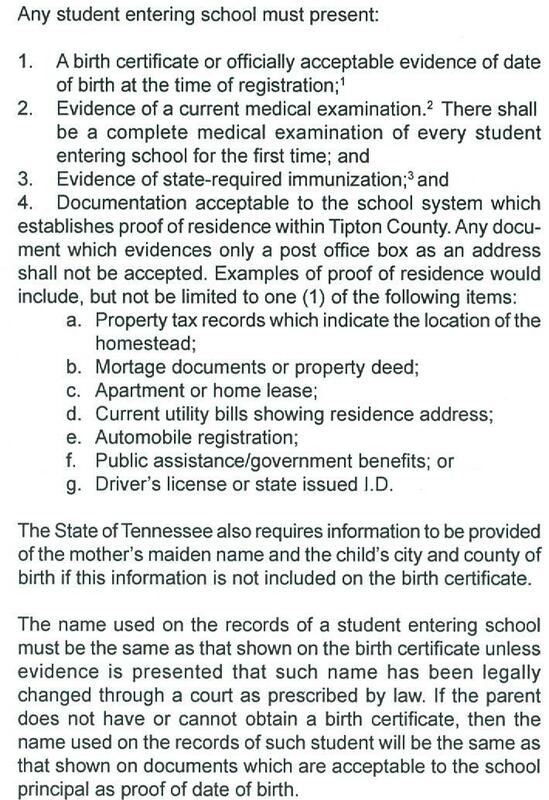 Please know that you MUST have the same address in your child's contact record in Skyward written on the application. If there is a discrepancy, and your application can not be processed until the discrepancy is cleared. The driver's license might not have the same address but that is okay. I just need the photo ID for identification purposes. PRINT PAGE 7 IF YOU PLAN TO TYPE OR WRITE ON THE APPLICATION. Click below to access the service once you have received an e-mail confirming that your account has been set up.